<firstimage=”//static.makeuseof.com/wp-content/uploads/2010/04/wordpress-logo.jpg” /> The blogosphere is a big place. There are over 100 million blogs on the Internet. For those of you who have found a way to stand out from the crowd, or those who intend to, you may consider monetizing your blog to earn some profit for all of the information you’ve shared with the world. The most common way to earn money is by placing advertisements on your site. In this article, I’ll share 12 clean and free WordPress themes with ad space built-in. These themes are listed in no particular order. 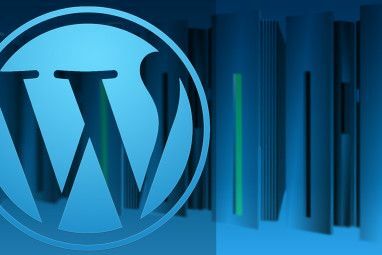 If you need help changing your blog theme, we can show you how How To Change Your Wordpress Blog Theme In 3 Easy Steps How To Change Your Wordpress Blog Theme In 3 Easy Steps Read More . FREEmium is an excellent theme that’s just as good as many commercial themes. It was designed by Paul Kadysz and coded by Dariusz Siedlecki. It has built-in support for 125×125 ads that are displayed in the upper-right corner of the site by default, which is a good “hot spot” for advertisements. Developed by Alex Cristache, Simple Balance is a great 3-column WordPress theme with a nice setup for ad space too. Using the theme’s native options, you can tell it to use 125×125 banners or replace them with a 250×250 Google Adsense square. You can easily choose from a couple locations of the ads as well, without any coding required on your part. Check out the demo or read more details. ZinePress is another magazine-style design with built-in 125×125 square ads support. Created by Andrew Lindstrom, ZinePress is a beautiful and calm tan design that’s definitely pleasing to the eyes. It’s very customizable and even works nicely on old browsers, such as IE 6. I see Small Magazine as an ideal layout for a news site, with its clean style, built in Flickr support and grid layout. It has native support for 125×125 image ads and 250×250 Google Adsense spots. Check out the preview image or read more details. The Firebug theme uses colors in one of the best ways I’ve ever seen on a blog design. Not only that, but it’s packed with features like Gravatar comments, 125×125 banner ads, and support for widgets. If you’re looking for a theme that really stands out, be sure to not pass this one up. Timeline Digest by Dezzain Studio is so good that it could easily be a premium theme. Luckily for us, we can have it for free. The theme was built with ads in mind and has plenty of places for 125×125, 728×90, and 300×250 ads. One of the more unique features of the theme is the post styling, which helps you make important messages stand out to your readers. If you’re running a blog that is focused on photography, take a look at the CSS Gallery theme. It’s a slick and clean theme with nice highlighting and star rankings of photos. Comes with built-in tagging, Google Adsense and 125×125 ad support. For a pleasant nature-colored theme design, check out Blue Green Harmony. With its minimalist design, fast load time and integrated ad-management features, I see this as a great design for many types of sites, particularly gardening or vegetarian recipes. DailyPress is an excellent theme with its color choice and 3-column layout. This is an ideal theme for delivering daily tidbits to your readers. Tabbed content makes for easy browsing. It comes ready for widgets, banner ads, 125×125 ads and more. Designed by Armono Wibowo, Typebased is one of the most polished themes on this list. It has the type of design that just “pops” off the screen and makes the whole blog more interesting. Comes with built-in ad management, stylish drop-down menus and Flickr photo sidebar. Do you plan to use any of these themes? 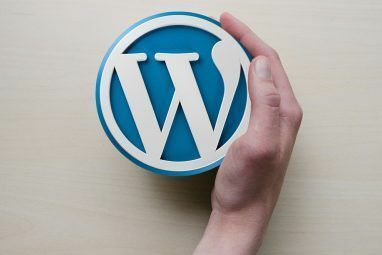 Or do you have a great suggestion of any WordPress themes with ad space that we left off our list? If so, please leave a comment below! Explore more about: Online Advertising, SEO, Webmaster Tools, Wordpress. Who makes these themes? Are they fast and proficient? SEO optimization? Besides being free, how customizable are they compared to say, themify Trupixel or Nexus themes? (my 2 current choices ) Reliability and support? Need more personal reviews on these, a few of which look interesting! I think themes by DigitalNature are really impressive. Especially love the backend. Very structured and fully customizable. I think 7 or 8 of these themes have a white or close-to-white background with black text. I agree they are often the easiest to read, though some prefer white on black, or some other combo. Nice post..GameZine is actually really cool and easy to use..have used it before. I'm glad to hear it was easy for you to use. I wish I could say I'm excited, but.....ZinePress is the only one that I'd seriously consider using. My biggest issue with most of these is that the text is on any color except white. I know it might not be the most creative way to go, I find that black font on white background (or other light colors) seem to work the best. A lot of people think that you have to strike a deal with a major corporation to have ads on your site, which is definitely sweet of you do, but affiliate programs give you that same opportunity. Commission Junction and Google's Affiliate Network are the two that come to mind. What better way to make some extra cash than writing or talking about the things you love? By the way, you can also use wp125 plugin (I think that's the name) to put ad spots in as well. I found your blog client review, but commenting was disabled. Thought you might like to try Xpostulate (http://baldwinsoftware.com/xpo... a cross-posting blog and microblog client that updates wordpress, livejournal, dreamwidth, inksome, insanejournal, deadjournal, scribbld, iziblog, twitter and identi.ca, all in one. Fully cross-platform (win/lin/mac/bsd), and free (gpl, as in freedom and $0). I found your blog client review, but commenting was disabled. Thought you might like to try Xpostulate (http://baldwinsoftware.com/xpost.html), a cross-posting blog and microblog client that updates wordpress, livejournal, dreamwidth, inksome, insanejournal, deadjournal, scribbld, iziblog, twitter and identi.ca, all in one. Fully cross-platform (win/lin/mac/bsd), and free (gpl, as in freedom and $0). Wonderful collection! Thank you for including our Masagana WordPress theme in it.